K. Michelle was first introduced to the reality TV world on the VH1 show Love & Hip Hop Atlanta (LHHATL). After the second season, she announced that she’d be leaving the show, but not the network. Instead, she chose to pursue her music career in New York. There, she ended up becoming a cast member on a show from the same franchise, VH1’s Love & Hip Hop New York (LHHNY). The network must truly love the feisty singer, as it saw fit to give K. Michelle her own new reality TV show. My Life will be a real life account of her life after the Love & Hip Hop franchise. Viewers will also get the opportunity to follow her music career, and watch her interact with friends, including R&B singer, Elle Varner, as well as her own family. “…she learns to balance life, relationships, and bona fide superstardom with the help of a dynamic group of friends. 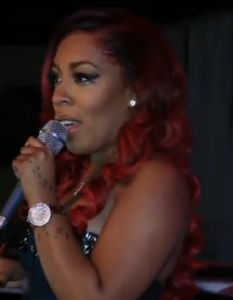 Check out K. Michelle’s video entitled, “My Life” uploaded to YouTube by BeyMYrockstarr. In this video, the reality TV star and hip hop singer sports the red hair extensions she’s so famous for these days. Lionel Richie’s adopted daughter, Nicole Richie, will also be staring in a new reality TV show on VH1. Her new show, Candidly Nicole, makes its debut on Thursday, July 17th. Eight different episodes of the 30-minute series have been filmed. The show is based on her web series which airs on AOL online under the same name. On the new reality TV show, her hairstyles can be described as colorful. But, are these creative dye jobs, or colored hair extensions? “This is the most in control and empowered I have ever felt in my entire career. Nicole Richie currently runs her own fashion line called “House of Harlow 1960.” The 32-year old’s new reality TV project includes both her 15-year sister, Sophia Richie, and her superstar, singer father, Lionel Richie. Nicole says that her dad joined the show because being celebrity is in his soul. He simply “cannot stay away from the camera.” Richie’s husband, Joel Madden, a singer with the group “Good Charlotte”, and their son and daughter won’t be appearing on the her new reality TV show. Check out this extended version preview of Candidly Nicole, Richie’s new reality TV show premiering Thursday on VH1. Watch her get real about some seriously tough issues, like Viagra, chicken farms, and… wait nuzzles? It’s gonna be hilarious! How do you feel about these two ladies getting their own new reality TV shows on VH1? Let us know in the comments below. 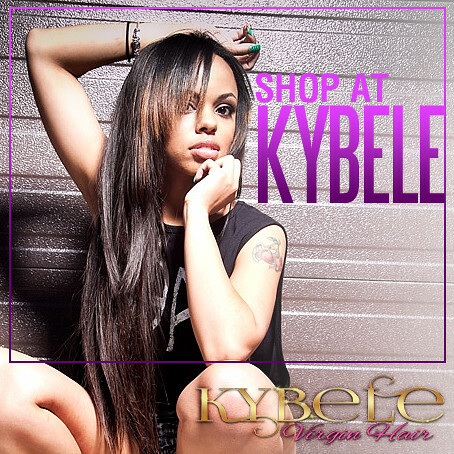 Click here to learn about our virgin hair extensions affiliate program.